Adolphus Washington Greely (March 27, 1844 – October 20, 1935) was a United States Army officer, polar explorer, and recipient of the Medal of Honor. He began his long and distinguished military career shortly after the outbreak of the American Civil War. On 26 July 1861, he enlisted in the 19th Massachusetts Infantry Regiment at the age of 17, after having been rejected twice before. Over the next two years he worked his way up the enlisted ranks to 1st sergeant. On 18 March 1863, he was commissioned as a second lieutenant in the 81st United States Colored Infantry. He was promoted to 1st lieutenant on 26 April 1864 and to captain on 4 April 1865. After the war he received a brevet promotion to major to rank from 13 March 1865 for "faithful and meritorious service during the war". He was mustered out of the Volunteer Army on 22 March 1867. He was commissioned as a second lieutenant in the 36th Infantry Regiment of the Regular Army on 7 March 1867 and was reassigned to the 5th Cavalry Regiment on 14 July 1869 after the 36th Infantry was disbanded. He was promoted to first lieutenant on 27 May 1873. In 1881, First Lieutenant Greely was given command of the Lady Franklin Bay Expedition on the ship Proteus. Promoted by Henry W. Howgate, its purpose was to establish one of a chain of meteorological-observation stations as part of the First International Polar Year. The expedition also was commissioned by the US government to collect astronomical and polar magnetic data, which was carried out by the astronomer Edward Israel, who was part of Greely's crew. Another goal of the expedition was to search for any clues of the USS Jeannette, lost in the Arctic two years earlier. 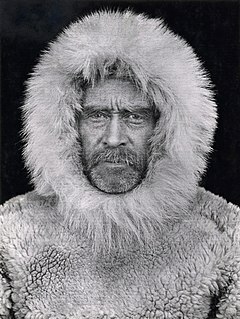 Greely was without previous Arctic experience, but he and his party were able to discover many hitherto unknown miles along the coast of northwest Greenland. The expedition also crossed Ellesmere Island from east to west and Lt. James B. Lockwood and Sgt. David Legge Brainard achieved a new "farthest north" record of 83°23'8" on Lockwood Island. In 1882, Greely sighted a mountain range during a dog sledding exploration to the interior of northern Ellesmere Island and named them the Conger Range. He also sighted the Innuitian Mountains from Lake Hazen. Two consecutive supply parties failed to reach Greely's party encamped at Fort Conger on Ellesmere Island in 1882 and 1883. In accordance with his instructions for this case, Greely decided in August 1883 to abandon Fort Conger and retreat south with his team. They reached Cape Sabine expecting to find food and equipment depots from the supply ships, but these had not been provided. With winter setting in Greely and his men were forced to winter at Cape Sabine with inadequate rations and little fuel. A rescue expedition, led by Capt. Winfield Scott Schley on the USRC Bear (a former whaler built in Greenock, Scotland), was sent to rescue the Greely party. By the time Bear and ships Thetis and Alert arrived on June 22, 1884, to rescue the expedition, nineteen of Greely's 25-man crew had perished from starvation, drowning, hypothermia, and, in the case of Private Henry, gunshot wounds from an execution ordered by Greely. Greely and the other survivors were themselves near death; one of the survivors died on the homeward journey. The returning survivors were venerated as heroes, though the heroism was tainted by sensational accusations of cannibalism during the remaining days of low food. An exhibition on the "Greely expedition" was part of the Columbian Exposition in 1893 and was captured on stereoscopic images. In June 1886, Greely was promoted to captain after serving twenty years as a lieutenant and, in March 1887, President Grover Cleveland appointed him as Chief Signal Officer of the U.S. Army with the rank of brigadier general. During his tenure as Chief Signal Officer of the Army, the following military telegraph lines were constructed, operated and maintained during the Spanish–American War: Puerto Rico, 800 miles (1,300 kilometers); Cuba, 3,000 mi (4,800 km); the Philippines, 10,200 mi (16,400 km). In connection with Alaska, then General Greely had constructed under very adverse conditions a telegraph system of nearly 4,000 mi (6,400 km), consisting of submarine cables, land cables and wireless telegraphy, the latter covering a distance of 107 mi (172 km), which at the time of installation was the longest commercial system regularly working in the world. In 1906, he served as military commander over the emergency situation created by the San Francisco earthquake. On February 10, 1906, he was promoted to major general and on March 27, 1908, he retired, having reached the mandatory retirement age of 64. In 1911 he represented the United States Army at the coronation of King George V.
General Greely died on October 20, 1935, in Washington, D.C., and is buried in Arlington National Cemetery, Arlington, Virginia. Greely attended the First Presbyterian Church, Newburyport, and married Henrietta Nesmith in 1878 and with her had six children: Antoinette in 1879, Adola in 1881, John in 1885, Rose in 1887, Adolphus in 1889, and Gertrude in 1891. Henrietta was a member of the Daughters of the American Revolution and one of the founding vice presidents general of the Children of the American Revolution. After the Civil War, Greely became a companion of the District of Columbia Commandery of the Military Order of the Loyal Legion of the United States - a military society composed of Union officers and their descendants. He was also a member of the Sons of the Revolution, the General Society of the War of 1812 and the Grand Army of the Republic. In 1890, he became a founding member of the District of Columbia Society of the Sons of the American Revolution (SAR) and was elected as the society's vice president. Upon the death of Admiral David D. Porter in February 1891, Greely became president of the District of Columbia Society of the SAR. In retirement General Greely resided at 1635 R Street N.W. in Washington, D.C. He was member of the Cosmos Club. In 1905, he accepted the honor of serving as the first president of The Explorers Club and in 1915, he invited the Italian polar geographer Arnaldo Faustini to the United States for a lecture tour. General Greely received the Medal of Honor in 1935. Rank and organization: Major General, U.S. Army, retired. Place and date: ----. Entered service at: Louisiana. Born: March 27, 1844, Newburyport, Mass. G.O. No. : 3, W.D., 1935. Act of Congress, March 21, 1935. For his life of splendid public service, begun on March 27, 1844, having enlisted as a private in the U.S. Army on July 26, 1861, and by successive promotions was commissioned as major general February 10, 1906, and retired by operation of law on his 64th birthday. Greely's medal was awarded in contradiction to the revised 1916 Army warrant requiring combat action and risk of life "above and beyond the call of duty." However, his medal was the second, and last, Army presentation contrary to the combat requirement, as Charles Lindbergh (an Army reservist not on active duty) received the award for his solo transatlantic flight eight years before, in 1927. Until after WWII the Navy Medal of Honor could be awarded for noncombat actions, reflecting different criteria within the United States armed forces. He was awarded the Royal Geographical Society's Founder's Medal in 1886,  and the American Geographical Society's Charles P. Daly Medal in 1922. USS General A. W. Greely (AP-141) and Fort Greely were named in his honor. ^ Historical Register and Dictionary of the United States Army, 1789 to 1903. Francis B. Heitman. Vol. 1, pg. 473. ^ Guttridge, Leonard F. (September 1, 2000). "Ghosts of Cape Sabine: the harrowing true story of the Greely expedition". Arctic Institute of North America of the University of Calgary. Retrieved April 14, 2008. ^ "American Experience: The Greely Expedition". pbs.org. Retrieved February 1, 2011. ^ Schwoch, James (In press, 2018). Wired into Nature: The Telegraph and the North American Frontier. Urbana: Univ. of Illinois Press. ^ "Adolphus W. Greely (1844–1935) Papers, 1844–1871; 1908–1909" (PDF). Peabody Essex Museum. January 2012. Retrieved 2 October 2015. ^ "American Geographical Society Honorary Fellowships" (PDF). amergeog.org. Archived from the original (PDF) on 26 March 2009. Retrieved March 2, 2009. Greeley, G. H. (1905). Genealogy of the Greely-Greeley family. Boston: Mass: F. Wood, printer. OCLC 4579981. Powell, Theodore: "The Long Rescue", W.H. Allen, London, 1961. Ellsberg, Edward: "Hell on Ice", New York, 1936. Wikimedia Commons has media related to Adolphus Greely. "Adolphus Greely". Hall of Valor. Military Times. Retrieved February 12, 2010. "Works by Adolphus Greely". Retrieved September 24, 2010. at Internet Archive. Scanned illustrated original editions. "Naesmyth.com". Retrieved September 24, 2010. "Family Tree". Retrieved September 24, 2010. "Antarctic Ships". Retrieved September 24, 2010. "U.S.R.C Bear". Archived from the original on 22 September 2010. Retrieved September 24, 2010. "Columbia Encyclopedia: Adolphus Washington Greely". Retrieved September 24, 2010. "Arlington National Cemetery Website: Adolphus Washington Greely (engl.)". Archived from the original on 31 August 2010. Retrieved September 24, 2010. "Adolphus Washington Greely". Retrieved September 24, 2010. "Henrietta Hudson Cruger Nesmith, wife of Adolphus W. Greely". Retrieved September 24, 2010. "Army Medal of Honor". Archived from the original on August 14, 2007. Retrieved September 24, 2010. Lieutenant General Arthur MacArthur Jr. was a United States Army general. He became the military Governor-General of the American-occupied Philippines in 1900 but his term ended a year later due to clashes with the civilian governor, future President William Howard Taft. Loyd Wheaton was a United States general who fought in the Philippine–American War and in the Union Army during the American Civil War. Frank Dwight Baldwin, a native of Constantine, Michigan, and born in Manchester, Michigan, is one of only 19 servicemen to receive the Medal of Honor twice. Baldwin received his first award for his actions during the Atlanta Campaign where he led his company in battle at Peachtree Creek and captured two commissioned officers in the American Civil War. He received his second for conspicuous bravery in 1874 during the Indian Wars. Baldwin holds the distinction of being the first recipient of the Medal of Honor in different conflicts. He also fought in the Philippines during the Spanish–American War and rose to the rank of major general before retiring. The African American Civil War Memorial Museum consists of a memorial and a museum that commemorate the service of 209,145 African-American soldiers and about 7,000 white and 2,145 Hispanic soldiers, amounting to nearly 220,000, plus the approximate 20,000 unsegregated Navy sailors, who fought for the Union in the American Civil War, mostly among the 175 regiments of United States Colored Troops (USCT). Ernest Albert Garlington was a United States Army general who received the Medal of Honor during the Indian Wars. Adolphus Staton was born in Tarboro, North Carolina, and died in Chevy Chase, Maryland. He graduated from the United States Naval Academy in 1902. Henry Clay Merriam was a United States Army general. He received the United States military's highest decoration, the Medal of Honor, for his actions as a Union officer in command of African American troops during the American Civil War. He later served in various Indian Wars throughout the western United States and commanded the 7th Infantry Regiment. After being promoted to brigadier general, he took on a training and supply role during the Philippine–American War.